The span of time between Halloween and the winter holidays is a major budget buster in our home. Between family parties, food, holiday gifts, cards, and a special little boy’s birthday, the next 8 weeks are financially draining. 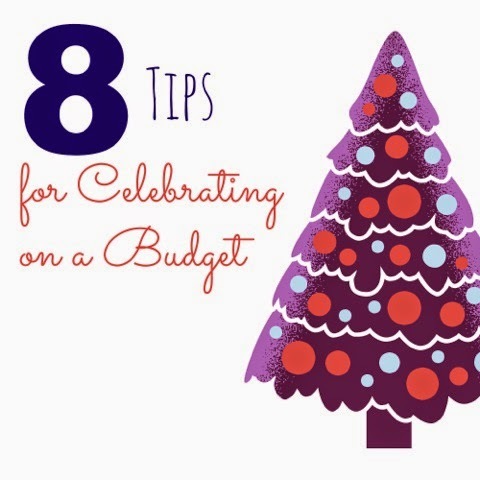 Keeping to a budget doesn’t mean I have to skimp on any of the extras that seem to bring the magic of the holiday season into my home. Here are the tips I use to stretch my budget! We love to throw big parties, but we hate that the food budget can make it so good friends don’t “make the cut.” We’ve started hosting occasional potlucks where we provide the main dishes and drinks, and friends bring sides or desserts to supplement the meal. Last year on the day after Thanksgiving, we hosted a “Bring Your Leftovers” party with several close friends. We loved seeing (and tasting!) the ways our families interpreted the traditional Thanksgiving meal differently, and the party required no extra prep – the only requirement was to bring whatever you didn’t eat the day before! One of the easiest ways to change up your holiday décor is to put a festive print in a frame. However, prints can be expensive! 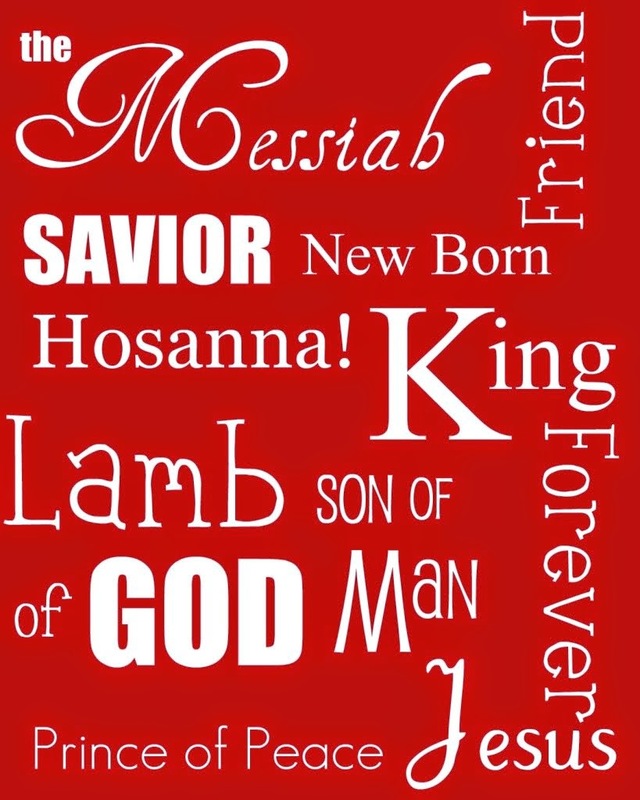 With free programs like PicMonkey, creating your own wall art is easy. Just go into design, choose the size template you want, and start creating! Moving items around your house can breathe new life into them. This is particularly true during the holiday season. For example, do you have a porcelain owl in your office? Bring her into your main living space and add a festive touch (a scarf? string of lights?) to allow her to do double duty as a holiday decoration. I shop for holidays and birthdays year round. There are certain items that I know my family and friends will want the following year, even if trends change. For example, my oldest son is a Hot Wheels fanatic. We bought him some stunts for his track when we saw them priced exceptionally low last January. When he receives them this holiday season, he will have no idea that they have been hidden in the closet for a year, but I will be relieved to not to have overpaid or have spent hours running from store to store finding these hot items. Each year, I make a handmade gift for each of my family members. Handmade can, but does not necessarily, mean less expensive. However, handmade does suggest thoughtfulness and importance. This year, each of my boys are getting a set of handmade nesting dolls that I painted to reflect their interests (superheroes and Star Wars). Wrapping gifts can be a major drain on your holiday budget. However, gifts can look beautiful when wrapped using household items like newspapers or kraft paper. 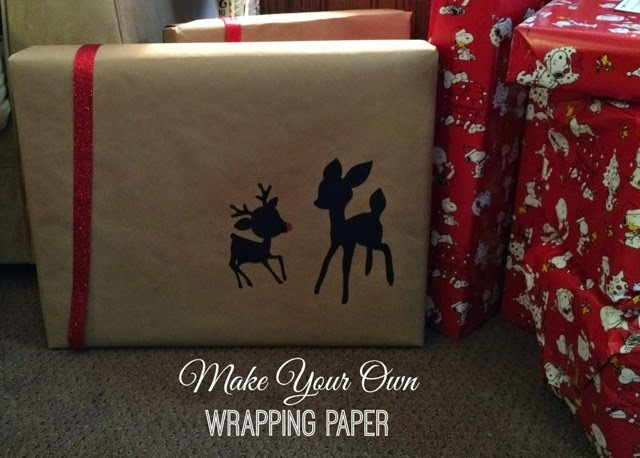 Paint or stamp designs, or wrap gifts in plain kraft paper and add a nice ribbon or design. Last year my sister gifted these beauties she made with old grocery bags and images cut from her die cut machine. Are there certain traditions that you maintain out of obligation and not interest? Consider what traditions are important to you, and explore starting your own new traditions. Do you buy a real tree because you feel you should but secretly hate the falling pine needles? Do you prepare a turkey, but secretly want to prepare something different? New traditions can breathe new life into your regular family gatherings. 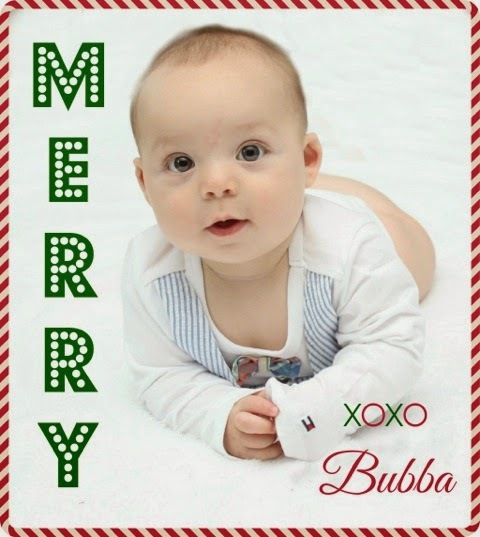 While I occasionally splurge on traditional holiday cards, I have also sent edited photos. Using free programs like PicMonkey, I can get the fancy look of custom cards with my own signature touch. Then, when I am ready to print them, they cost me just pennies each! With three little knights in tow, Heather is learning the ways of being the only girl in an all-boy household. On her blog, Diapered Daze and Knights, she writes about education, parenting, and low-cost DIY décor and party ideas. Heather earned a Ph.D. in Curriculum and Instruction and is currently a college professor. Her work has been featured in The New York Times, Education Week, NBC News, Men’s Fitness and Real Simple magazine. Heather lives outside of Philadelphia with her three boys (ages 5 and under), her husband, and her crazy pug, Olive. Another "free" source of wrapping for small gifts is one I need to work on remembering. If you are a paper crafter, you surely have lots of pages of paper in books that you don't use for your projects , but that would be fine for wrapping paper.